A collection of three cult RPG games, set in the dark universe of fantasy and characterized by an extremely high level of difficulty. All productions have been developed by the Japanese company From Software. 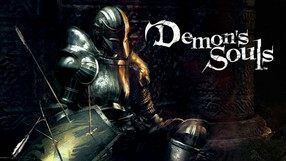 Another installment in the series of dark action RPGs, initiated and developed by Japanese studio From Software. The title is set in the same fantasy universe, in terms of content however, it offers a completely new story in which we visit 12 previously inaccessible locations. At the same time, the game features a more extensive plot, and the gameplay itself is accompanied by over an hour of cutscenes. The production includes as many as 12 character classes, 45 new enemies, 15 challenging bosses, 100 weapons, 40 pieces of armor and nearly 200 other items. One of the most important new features is the possibility of sacrificing the bodies of defeated enemies, which allows us to summon certain characters or haunt another player’s game. New sword fighting techniques were also introduced, and we learn them gradually as we progress in the game. Both the atmosphere characteristic of the series, and the high level of difficulty have been preserved in the sequel. 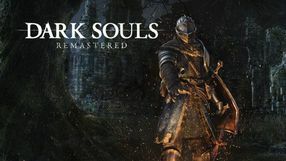 A complete, improved edition of the best selling action RPG created by From Software, released at the start of 2014 on PC, Xbox 360, and PlayStation 3. The game once again takes place in a gritty fantasy world. The main protagonist is trying to find a way to lift his curse. During the journey he will participate in challenging duels during which he will use both traditional weaponry and an arsenal of magical attacks. As the game progress, the character gains experience and he can be developed in various ways. The new edition contains all story DLCs, depicting his search for the three crowns of legendary rulers. 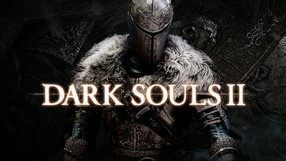 The developers expanded the story of the basic game, added new NPCs, improved the item descriptions, and balanced the character progression system. Additionally, the owners of PCs and eighth generation consoles can enjoy improved graphics that fully utilize the power of their hardware. 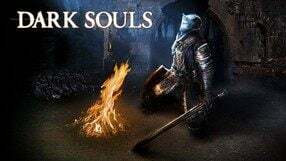 A sequel to the hit action RPG Dark Souls, a game famous due to its very high difficulty level. 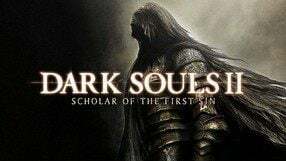 Dark Souls II was developed by the Japanese studio From Software in collaboration with Namco Bandai. The player controls a character traversing a dark fantasy world in search of a way to free himself from a curse. The story is shown not chronologically, in a fragmented way and explanations are often hidden in dialogues and item descriptions. Similarly as in its 2011 predecessor, the gameplay focuses mostly on exploration, difficult arcade combat and character progression. Multiplayer mode was greatly modified, but it still features the hallmark of the series – the advice left in the game world by other players. An action RPG set in a dark fantasy world. It has been developed by the Japanese From Software studio, known from e.g. Ninja Blade, Demon’s Souls, and the Armored Core series. The story of Dark Souls takes place in a grim universe, greatly resembling the medieval age. The plot in scarcely depicted, and the players take role of an undead character, whose actions will shape the fate of the world. The game is a third-person perspective hack-and-slash. In a manner befitting a sandbox game, players are given a lot of freedom at exploring locations and undertaking various tasks. The game stands out with its high difficulty level and complex multiplayer mode. 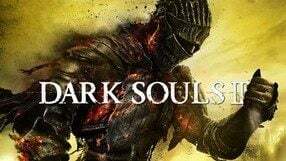 A dark and brutal action RPG developed by the Japanese From Software studio in cooperation with Atlus. The story is set in the kingdom of Boletaria. The realm's overambitious king wished to obtain even more power and attempted to make a deal with dark forces. As a result, powerful evil has awakened. The player-controlled character is the land's only hope now, for the protagonist is the only one capable of defeating the hordes of demons that were set free by the king's greed. The game offers ten character classes, each having their own different skills and equipment. The game emphasizes combat with different kinds of weapons - each has their own special attacks and character animations. In combat, the player can cast spells and use miracles, based on the faith attribute. Whether the protagonist becomes a better warrior or a mage depends on the development choices made by the player. A prominent feature of the game is the multiplayer mode allowing players to leave tips and warnings for other players.